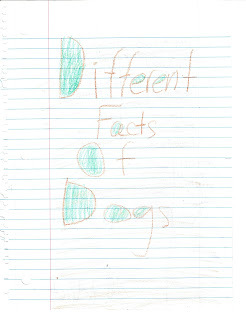 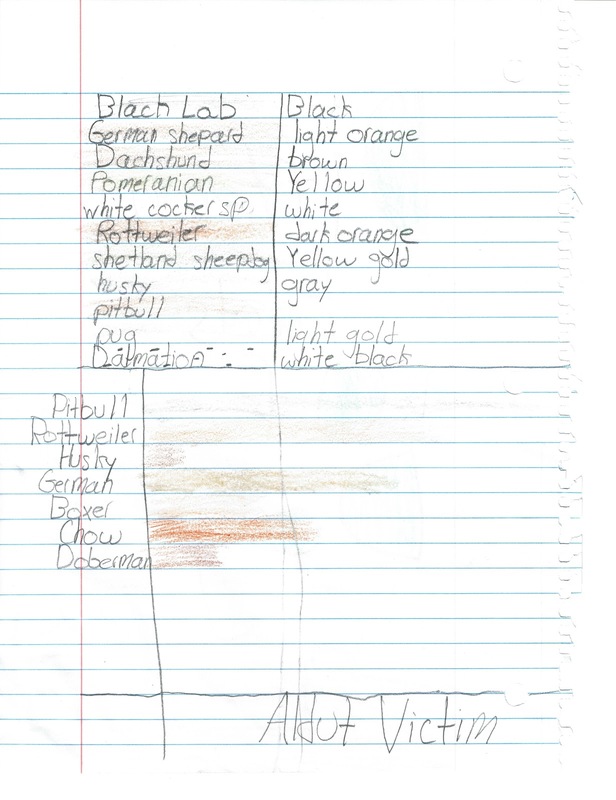 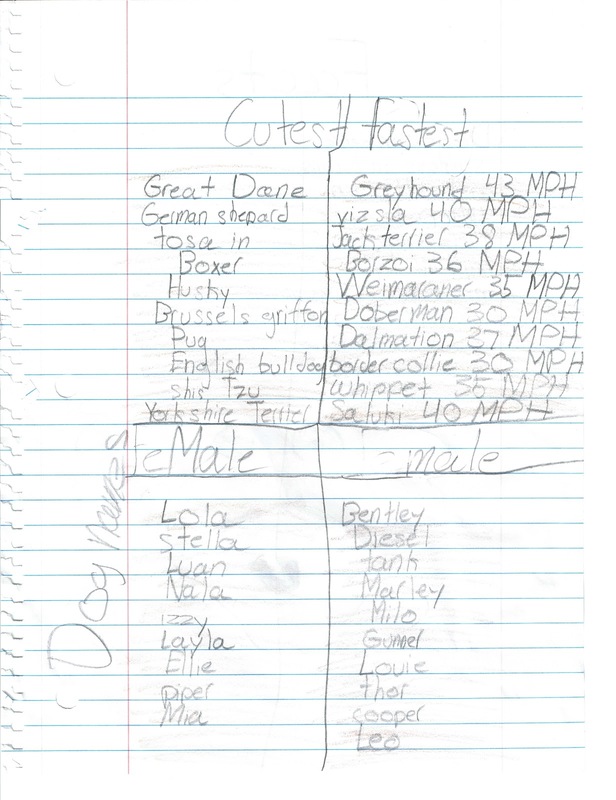 Vernon Volumes: Connor and his "Different Facts Of Dogs"
This past week, I saw Connor working hard on something. 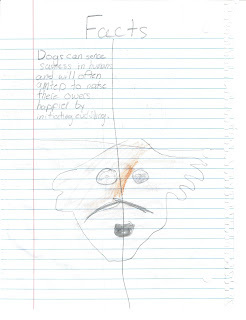 He had two iPads going, had his pencils and crayons out, and was focusing on something very important. 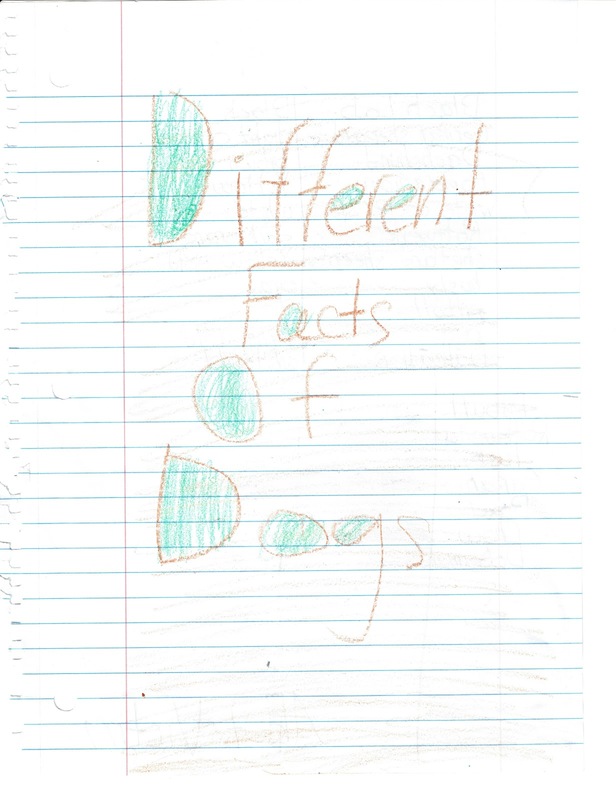 I took a picture of him while he was in his zone and he explained that he was working on dog facts. 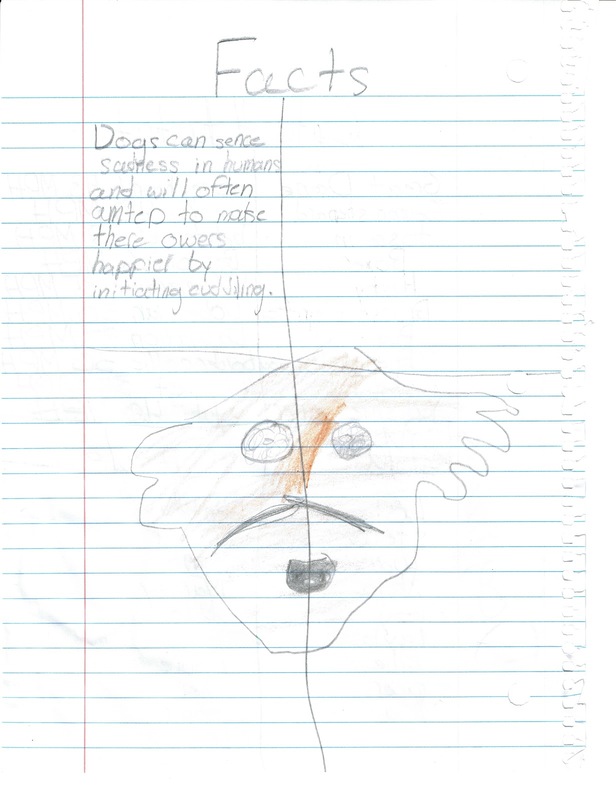 He loves dogs so much recently. 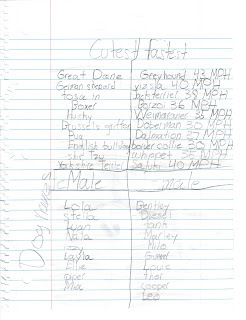 He's been a big help with Chloe, and is interested in anything to do with dogs. 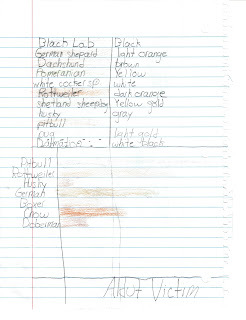 When he finished, he gave his masterpiece to Mommy, and I thought it was too cute not to scan and save.